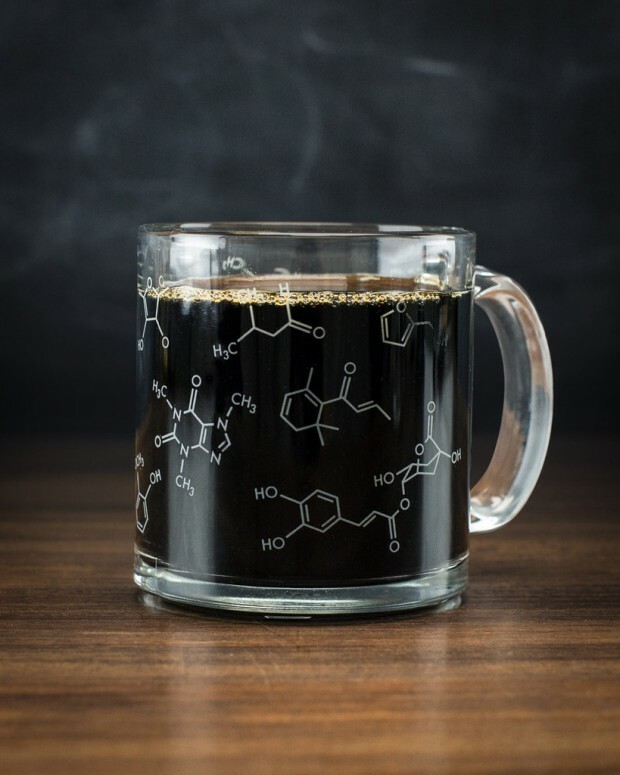 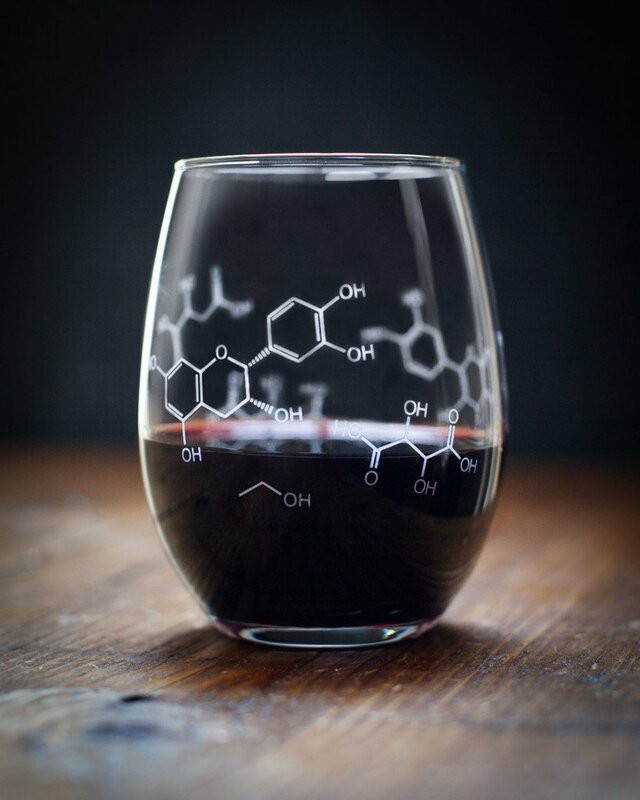 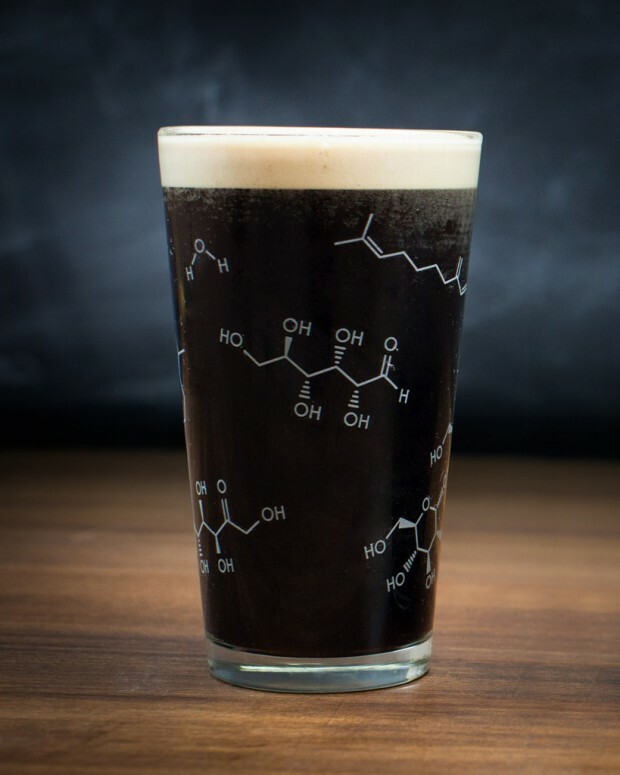 Geek store Cognitive Surplus attracts chemistry buffs with a variety of glassware that are embossed with the molecular structure of the molecule(s) in the drink suited to each glass. 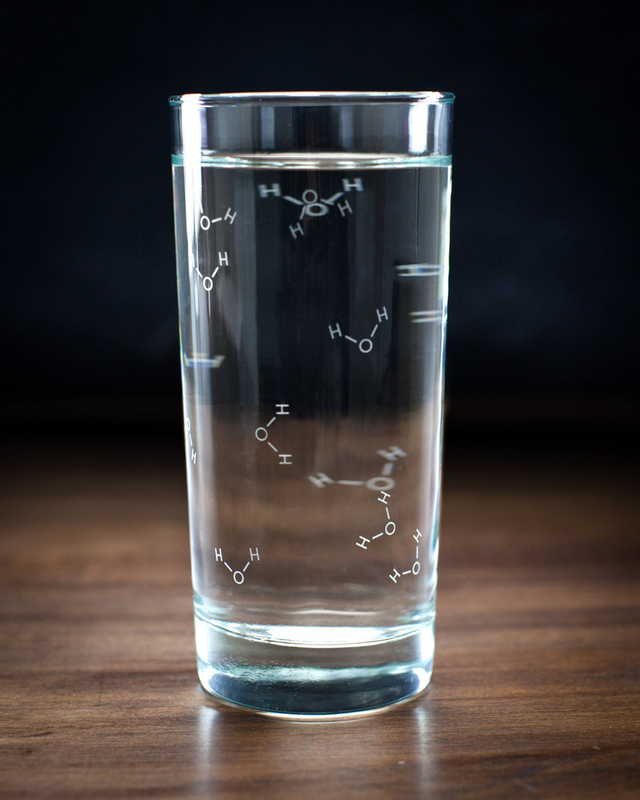 There’s a glass for water, coffee, beer, wine and whiskey. 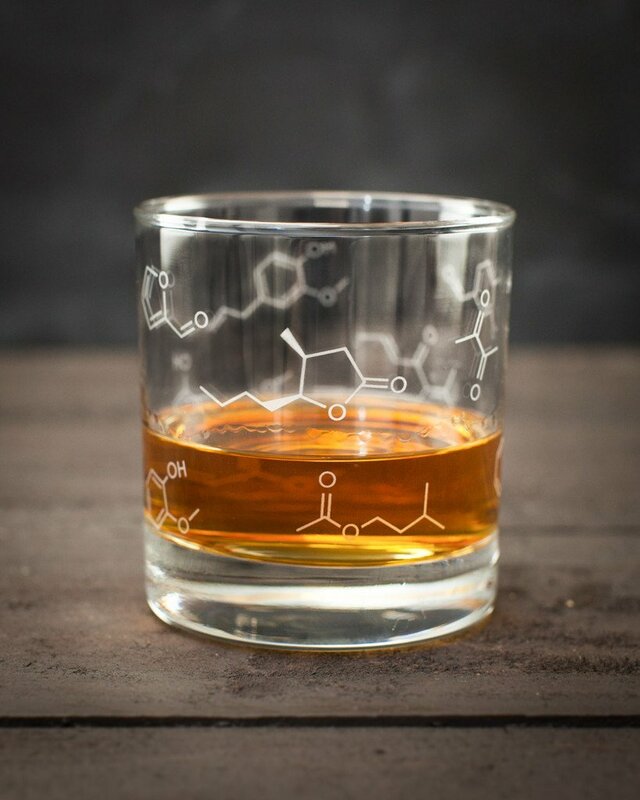 Combine your browser and this link to order the glasses. They cost $15 or $18(USD) each.